In a bid to explore more of my home state of Queensland, I’ve been keeping a list of places I’m yet to visit. 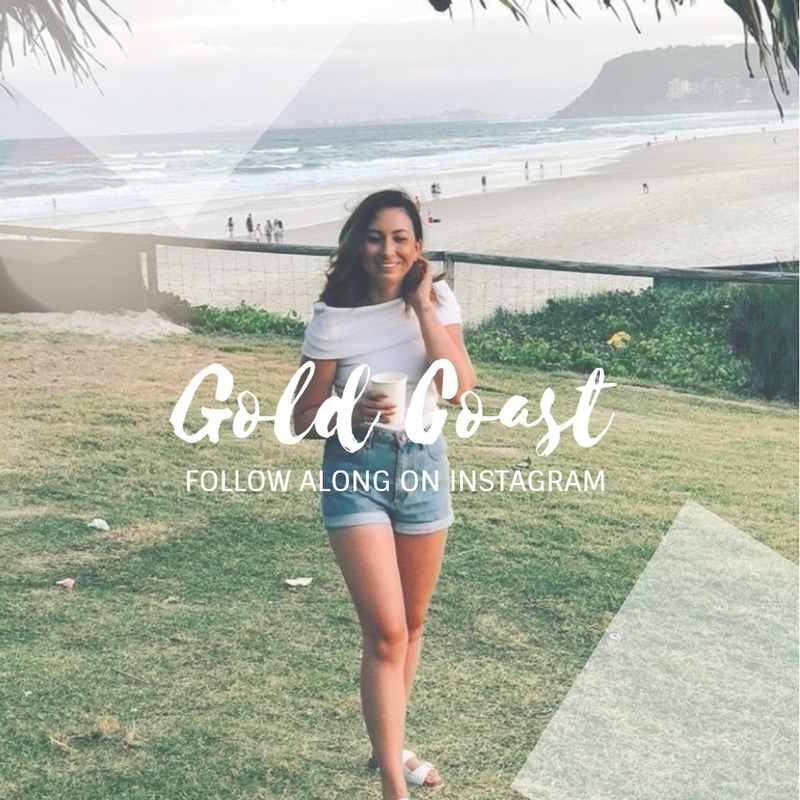 Not having the luxury of being able to travel abroad often, it’s these mini weekend escapes that keep me feeling inspired and also grateful for what I have to see right on my doorstep! 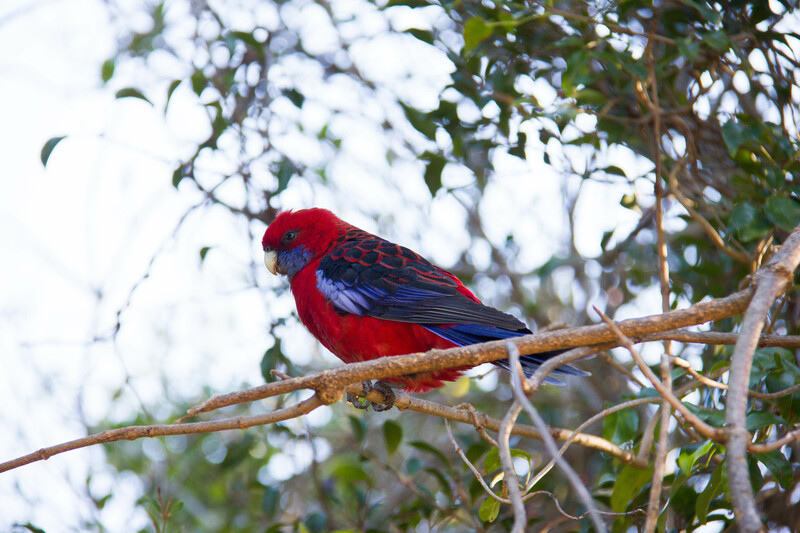 And so, with a picnic packed and cameras fully charged, my partner and I set out on a day trip to the Gold Coast Hinterland to check out O’Reilly’s. 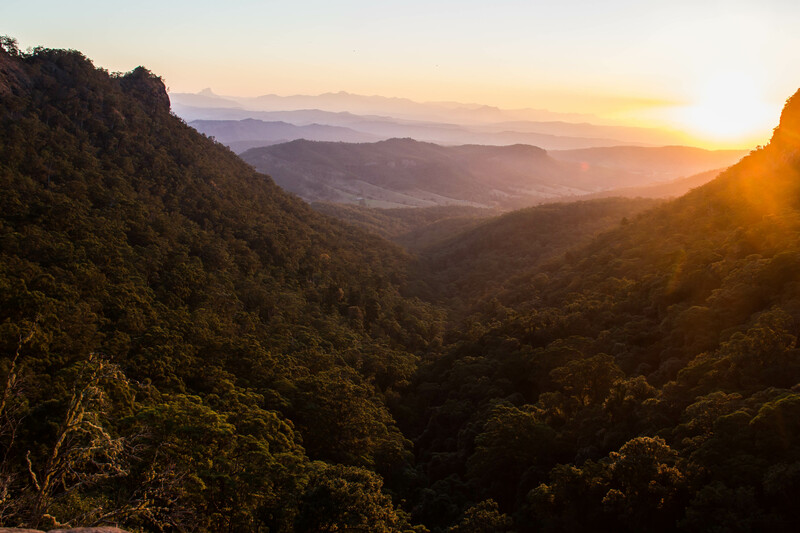 In a subtropical rainforest, in Lamington National Park, O’Reilly’s offers visitors accommodation, dining, wild life experiences and a number of walking tracks through the lush forest surrounds. They also host a number of events throughout the calendar year, from walks and wellness retreats to planet viewings and stargazing. If you’re looking to experience some of the walking tracks out here, you can set out on short, half-day or full-day walks. 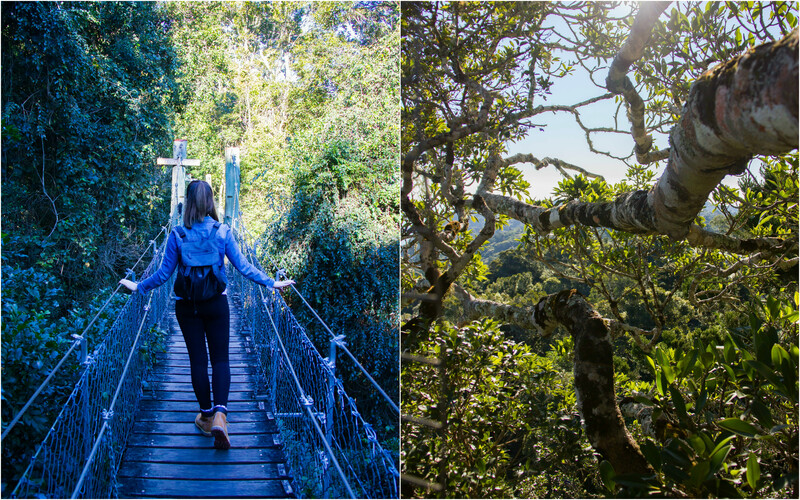 With so much ground to cover, and so little time, we decided to stick to the Treetop Walk, a short 800m walk across 9 suspension bridges up amongst the trees. The entrance to the Treetop Walk is clearly sign posted, and is located just across from O’Reilly’s guest house. At times despite being 16 metres up, you almost forget how high you are as trees carry on up above you still. 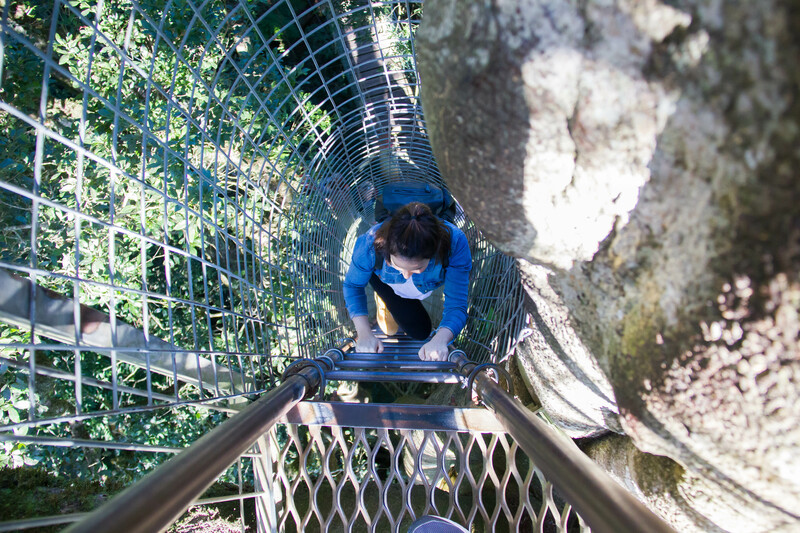 If you’re keen to get a little higher, at the first turn along the walk there is a series of caged ladders up against a large fig tree taking you to a tiny platform 30 metres above the ground. The climb up is a little unnerving – making my way up I realised how long it had been since I’d climbed any kind of ladder – but the views really are something. With no more than 2 people allowed up top, Christian and I shared a quiet moment among the tree tops before climbing back down. From someone who should have known better (yep, that’s me), please keep your valuables on you securely! From the top of the trees to the bottom, Christian made his way across the forest floor after I dropped my phone and watched it fall to the ground below. It all seemed to happen in slow motion – the phone flipping sideways just in time to slip between the wooden planks, without even touching the sides! The soft ground thankfully meant it landed without a scratch, despite a curious bush turkey’s best efforts using his beak on the screen (no selfies, unfortunately! Bird needs practice haha). 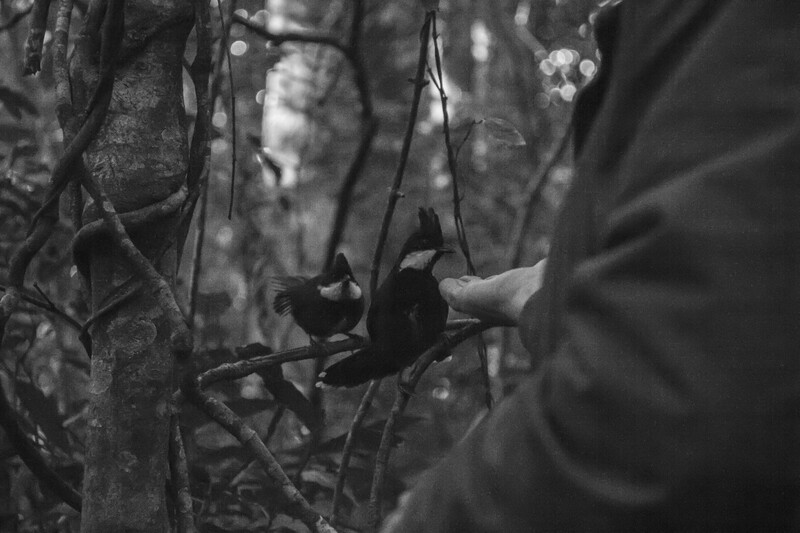 Before we left the walk, we watched on as two O’Reilly’s rangers interacted with two Eastern Whipbirds (known affectionately to the staff as Mr and Mrs Whippy). 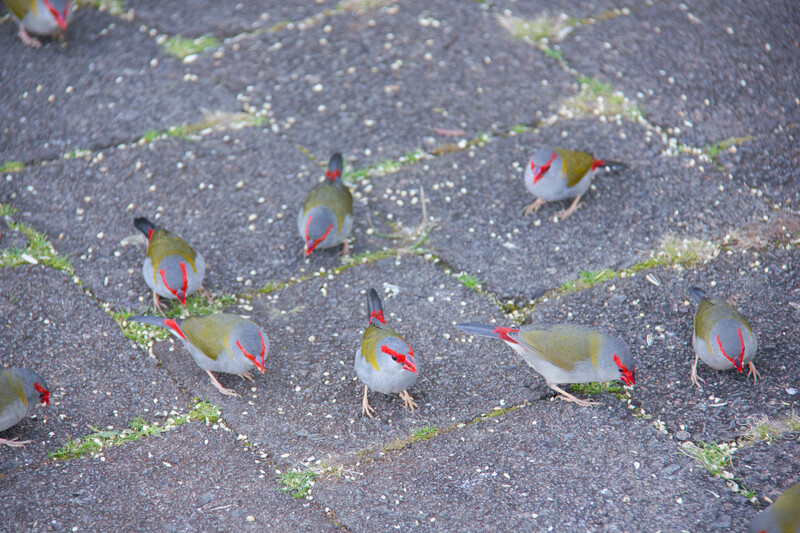 Apparently it’s quite rare these birds will land on people, even when food is concerned, so it was a special treat to watch on as they took turns darting back and forth, taking cautious nibbles on nuts from the rangers hands. 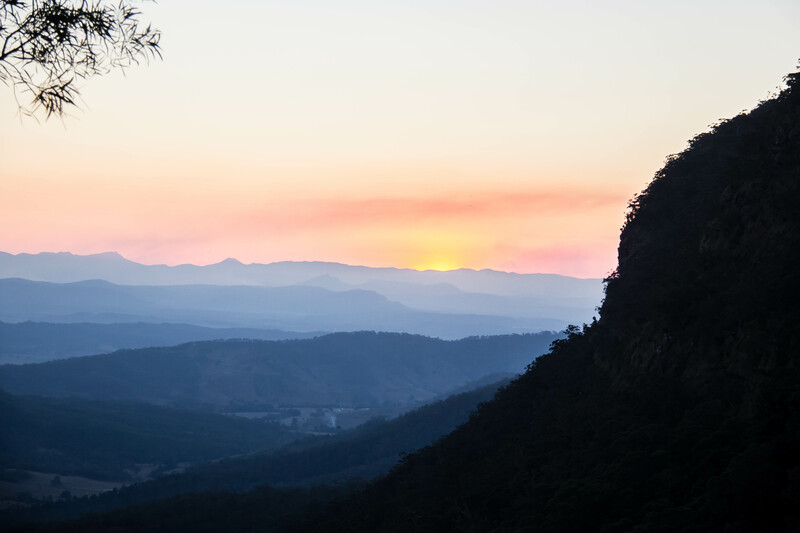 It was now approaching 4pm and we had a small window of light left to make our way around to the top of Moran’s Falls – we had saved our trip for the afternoon so that we could watch as the sun set over the hinterland valley. 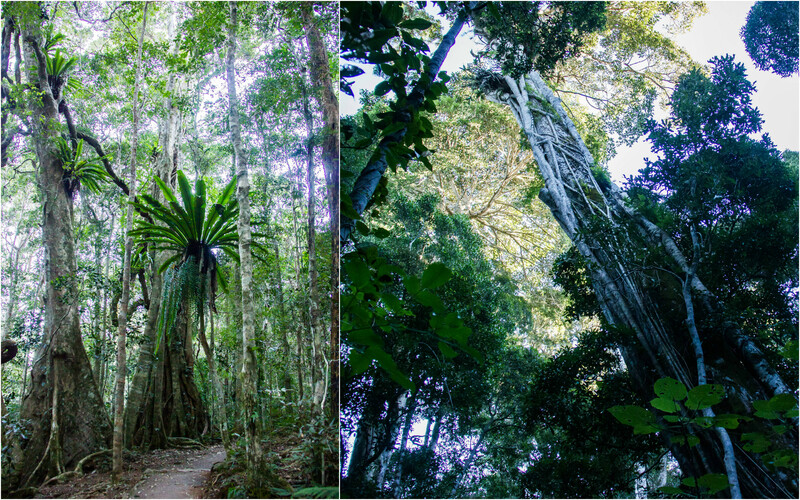 Knowing that it was a 4.6km return trek, we kept a brisk pace, continuing on along the track into dense forest. 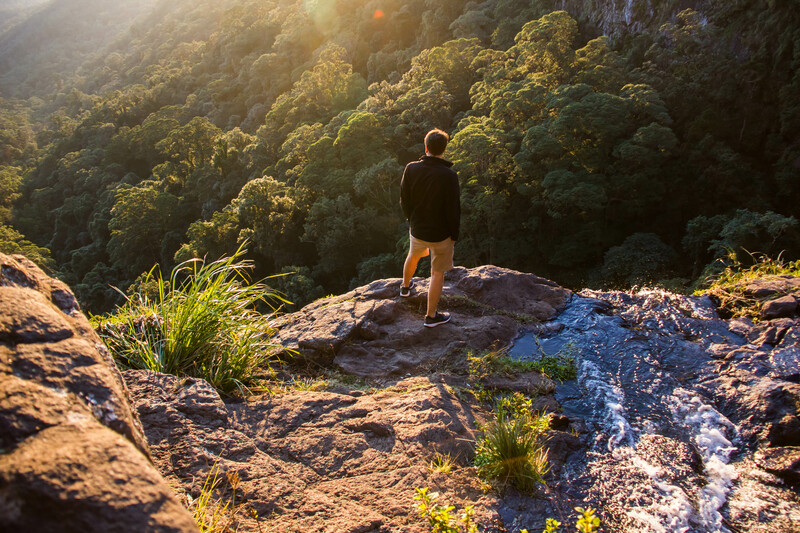 We reached the look out and took a moment to pause and take in the incredible view over the valley towards the plunge waterfall which cascades some 80 metres. We then pushed on further to where there is a large picnic area, which was once the site of a bark hut – the first home of the O’Reilly brothers when they arrived on the mountain. We sat down to the spread we’d packed and basked in the warm glow of the late afternoon sun. It didn’t take long for the sun to begin to sink and so we packed up and made our way to the crest of the falls. 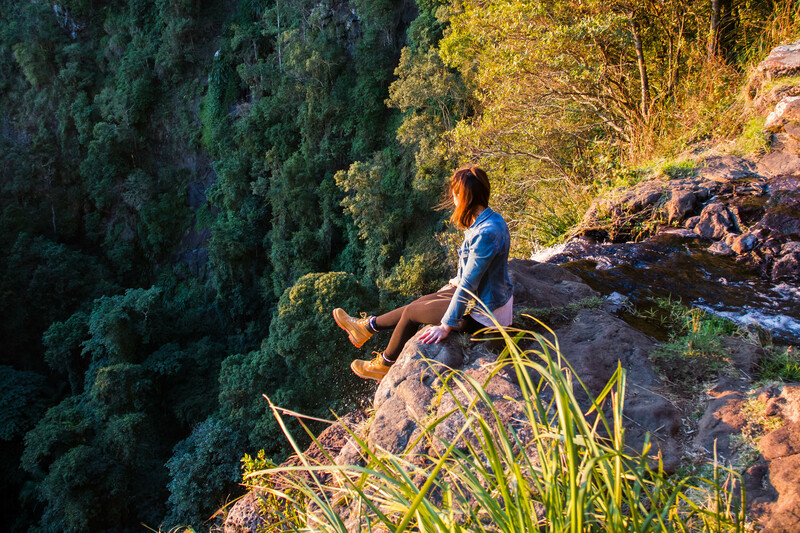 With only a small group of people up there with us, we sat on the falls edge looking out over the seemingly endless green canopy of trees below and watched on as the sky changed colour and the temperature dropped. Just as the sun started to disappear beyond the horizon, we decided it was time to head back. The last half of our walk was in darkness, and we needed to use our torches to guide us along the path, the large canopy of trees blocking any of the lingering light from getting through. 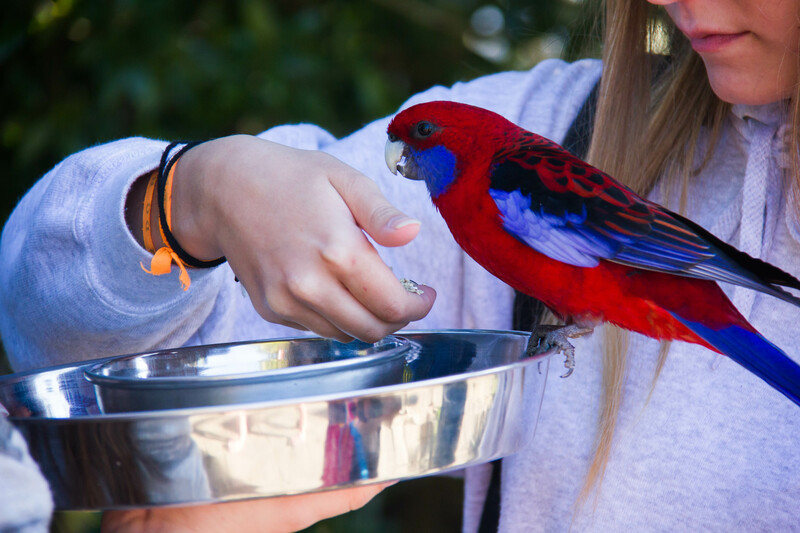 O’Reilly’s is approximately 40 mins drive from Canungra on the Gold Coast or 2 hours from Brisbane. If you decide to make the trip, be prepared for countless hairpin turns and narrow one-way roads winding up the mountain to reach the national park. It’s a somewhat testing drive, particularly if you experience motion sickness like I do, but so very worth it.